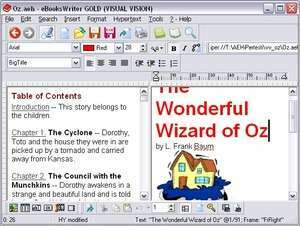 eBooksWriter LITE is an efficient and useful utility specially designed for creating, editing and protecting eBooks. This application is a professional all-in-one (edit, protect, pack / compile) visual environment, not just a compiler. It enables you to build compact self extracting eBooks with just one click. For security reasons, you should also check out the eBooksWriter LITE download at LO4D.com which includes virus and malware tests. Additional screenshots of this application download may be available, too. Editors review and list a number of ebook readers and organizers. Check out some of the freeware downloads available in the ebook software category. They contain no strings and are available at zero cost.